Dental travel package includes accommodation in town of Punat and booking of initial dentist appointment for dental checkup and free teeth scaling treatment. Accommodation is provided in one of our apartments which are in the walking distance of the Matanić dentist surgery. Enjoy your Krk holiday break and at the same time solve your dental problems at much lower dental prices. We offer 4-nights and 7-nights dental package. What if I need longer stay as a result of dental checkup? Should you find out during your free dental checkup that you require some work done and therefore require a longer stay, then we are able to arrange for the extension of your accommodation whilst you are at Krk Island. If you know in advance that you will most likely need dental treatmant, then please click here for the useful information that you could provide. We would normally recommend that dental holiday is taken outside of the high season, when not only the accommodation is cheaper and more readily available, but when the dental surgery is also less busy and when you will be able to have daily appointments during your dental holiday break. Price does not include: eco tax 0,15 € per person daily and one-off registration 2,00 € per person. If heating or air-conditioning is required, the supplement is approx. 6 - 10 eur per day per apartment. Price does not include: eco tax 0.15 € per person daily and one-off registration 2.00 € per person. If heating or air-conditioning is required, the supplement is approx. 6 - 10 eur per day per apartment. If you already know you need some dental work done, it would be useful if you would let us know the information listed below, which will be passed to the dental surgery. Dental Surgery Matanic will then provide you with a dental treatment plan, its approximate costs and will advise you on most likely length of your stay that would be needed. In this case you can have the length of your dental accommodation package taylor-made for you. If you have a Panoramic x-ray which shows a broad view of the jaws, teeth and sinuses that you could email us then the surgery could be even more exact with recommended treatment and proposed length of stay. Dental surgery Matanic is located in the coastal town of Punat on the Island of Krk. The surgery is modernly equipped with all necessary facilities and instruments, RTG full service Dental Laboratory and the dental surgery uses only the latest well recommended european and american materials. Surgery owners are husband and wife Matanic, both dental surgeons, who have been involved with their dental practice for many years. SAVE UP TO 30%-50% ! 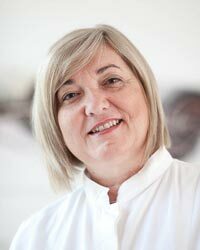 Dr Jasenka Matanic was born in 1953 and together with her husband Bartol is the founder and the owner of the dental office Matanić that has a 20 years long tradition. Jasenka graduated in 1979 at the University of dental medicine in Rijeka. Bartol Matanic, doctor and dr. stom. Dr Bartol Matanić was born in 1951 and graduated in medicine and dental medicine in Rijeka in 1978. Periodontology and endodoncy are the fields of his main interest. Dr Tanja Bogetic was born in 1980. 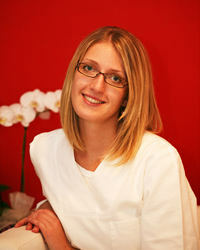 She graduated at the Dental School of University of Rijeka in 2005. with the highest marks. Dr Bogetic is a member of Croatian Dental Chamber – HSK and is regulary attending specialised dental courses, continually working on expanding her knowledge with regards to the latest advances in dentistry. From 2008. she is leading dental surgery Matanic in Punat. Dr Bogetic has special interest in endodontics and protetics. Surgery Matanic pays special attention to safety and comfort of its patients. This includes regular sterilization, laboratory tests, and the anestetic is taylored taking into account dental history as well as wishes of each patient. Many patients are foreign nationals to whom surgery Matanic was recommended because of its good reputation. They leave happy because they were provided with a professional service where top quality materials were used and all this at much lower prices than for example in Italy, Germany and other countries of Western Europe.